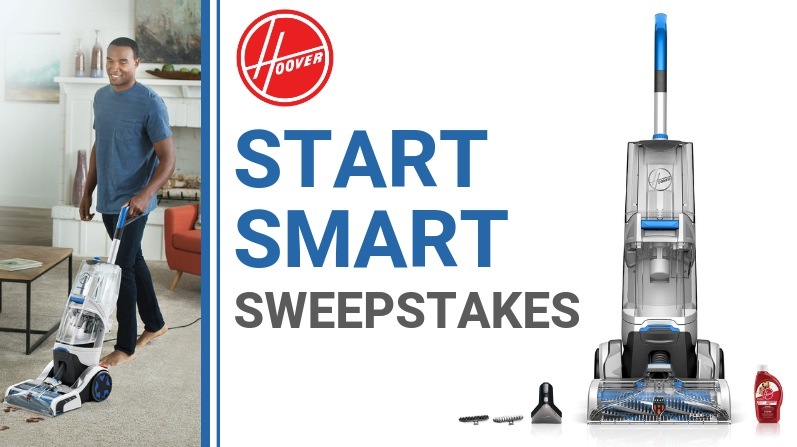 Enter the Hoover Start Smart Contest 2019 to get a chance to Win a Hoover SmartWash Automatic Carpet Cleaner. Entry to this contest is open only to legal residents of Canada (excluding the province of Quebec) who are 18 years of age or older. To enter you need to visit the official contest web site and use the ‘Like’ button to Like the Hoover Canada Facebook page, then provide your first and last name as they appear on FB and your email address, agree to the contest rules and submit it. Competition closes on January 31, 2019 at 11:59 pm EST. Winner will be selected by random draw from all eligible entries. There is one prize available to be won, consisting of a Hoover SmartWash carpet cleaner valued at $349. The Hoover Start Smart Contest 2019 starts at 12:00 PM EST on Monday, January 21, 2019 and ends on Thursday, January 31, 2019 at 11:59 PM (EST). The draw will take place on Friday, February 1, 2019. Winner will be notified via email or Facebook direct message.